At this very moment, Mark Zuckerberg’s political lobby, FWD.us, is probably taken aback at how reviled it has become, both from the public and its own members. After all, there are countless political technology lobbies, including Facebook’s own Political Action Committee, which routinely offer Republican candidates campaign cash for quid pro quo political favor. So, why, after discovering FWD.us indirectly supporting the controversial Keystone Pipeline initiative, have would-be supporters flooded their Facebook page with scathing comments, and its A-list supporters, such as Tesla’s Elon Musk, ditched the group? Unlike other lobbies, FWD.us burst on to the scene with a very public op-ed from its celebrity founder, promising to galvanize the latent civic passions of Silicon Vally’s netizens in a noble crusade to advance the knowledge society. While one hand extended towards grassroots supporters, the other reached into its wallet pocket and discretely doled out funds to controversial candidates. There’s a reason most lobbies don’t bother with grassroots activism: communities don’t get excited about the kinds of soul-crushing moral compromise necessary in DC politics. So, when FWD.us rolled up with millions in hand claiming to be the voice of the technologists, those who felt misrepresented freaked out. Even more confusing, when confronted, FWD.us chose to do something no other major organization in technology has done: it remained silent. Even the notoriously tight-lipped Apple holds a press conference after public uproar. Californians haven’t become jaded to the kinds of secrecy common for Wall Street banks and campaign SuperPACs. 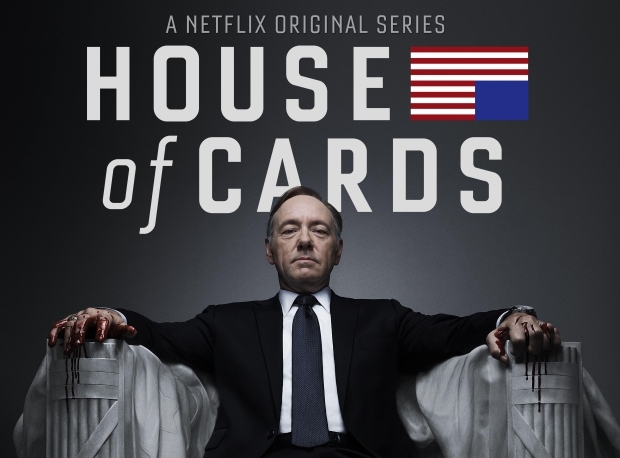 The unfazed backdoor dealings caricatured in Netflix’s (addicting) House of Cards series may work for lobbies based in our nation’s capitol, but Californians evidently won’t tolerate it in their backyard. FWD.us would-be grassroots supporters agree, “Will Fwd.us prostitute climate destruction & other values to get a few engineers hired & get immigration reform?”, wrote one commenter on their Facebook page. Folks in San Francisco had a sense that FWD.us understood technologists’ natural aversion to Washington culture, “People in tech have often felt a cultural disconnect from the political process, which is a shame considering we are naturally idealistic,” went a press release of FWD.us’s launch last month. True to their word, unlike any other lobby, they were building tools for grassroots activism, with the audacious aim of bottling the rare Internet flash mob protests that brought down the entertainment industry-funded, Stop Online Piracy Act, and helped smartphone taxi service, Uber, overcome the Washington DC regulators. But, unlike Mayor Michael Bloomberg, who is actually planning a social media campaign to push for Immigration reform, FWD.us’s grassroots promise is nowhere to be found. Like many of us at TechCrunch, tech luminaries have been begging FWD.us for a hint of transparency, “It’d be easier to believe that FWD.us will be a positive force if we knew the full breadth of its agenda,” wrote popular blogger and entrepreneur, Anil Dash. Unfortunately, they refuse to talk to anyone. Even at our own Disrupt conference, Director Joe Green didn’t (or couldn’t) be interviewed, instead opting for a generic story about the value of immigration reform. In other words, FWD.us poisoned its only mechanism for grassroots activism: social media. Forget Twitter, forget Youtube, forget Tumblr. Every conceivable social platform permits open dialog, which has now become the bane of their existence. When we first wrote about FWD.us, the reader comments were largely positive. Most readers (including myself) were excited to see what a team of technology titans could accomplish. But, since then, the suspect secrecy is killing their trustworthiness. Their calculation is clear: a win on immigration reform will absolve their sins. They’re wrong. Since they’ve chosen to mimic other lobbies, their accomplishments will be indistinguishable. So, each of their investors could just as easily fund a tech lobby employing the same tactics without the public heat. Personally, I like the organization and its mission. We routinely advocate for many of the same issues and carry the voices of their partners. But, evidently, FWD.us underestimated just how little tolerance their supporters have for compromising the value of truthfulness.